White water rafting Nepal is very popular tourist attraction. Nepal has many rivers for you to explore rafting and among them, Trishuli River (1 up to 3 days), Seti River (2 days), Bhote Koshi River (2 days), Kali Gandaki River (3 days), Marsyandi River (rafting/kayaking 4 days), Sun Koshi River (7 to 9 days), Arun River (rafting adventure 9 days), Karnali River (whitewater rafting 10 days), Tamur River (rafting adventure 11 days). In those given rivers you will find the world’s class thrilling white water with a wide range of difficulties and experience. River rapids are changing according to the seasons. New rapids are created; others become more difficult and some simply impossible to navigate. 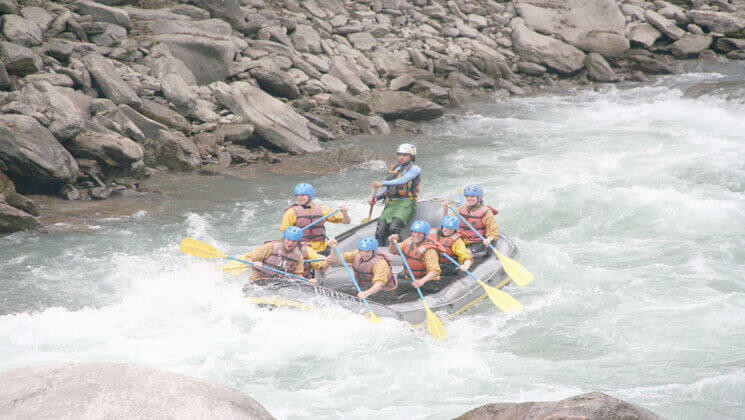 Here are some sample itinerary for white water rafting in Nepal.